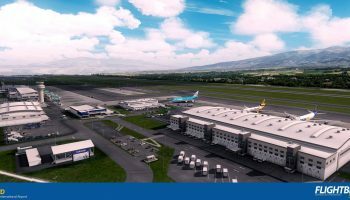 A number of developers are now coming out with their plans for P3D V4. 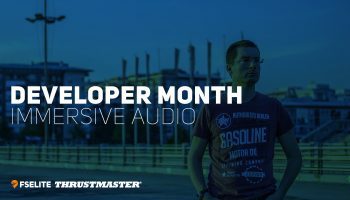 Please note that this post will be a continually updated post as and when more developer news is provided. The team over at TFDi design announced on their forum that their 717 will not be available with P3D V4 immediatley. They are currently working on finalising their 717 version 1.0.8.0. 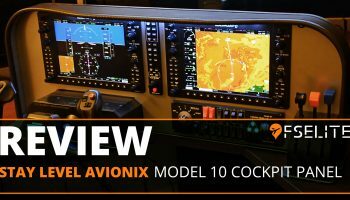 Hopefully we can expect this aircraft to come to P3D V4 not too long after it’s release. 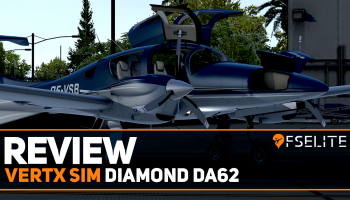 FSDreamTeam have been showing off some great videos of P3D V4 over on YouTube. This includes a video showing off the new snow particles at their upcoming Charlotte scenery. This is one of two videos which also includes a video of them flying around the scenery in the default F35. This is a good video that shows off not only their Charlotte scenery once again, but also showing the new levels of LOD radius that can be set within this new sim. 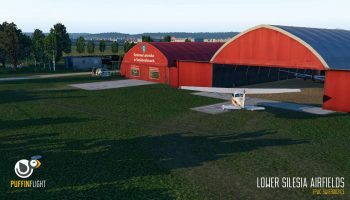 A2A simulations have announced on their Facebook that their Cessna 172 will be available to use with P3D V4 on the day of release. 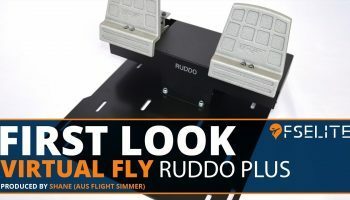 This will come as free upgrade to those who have previously purchased the 172 for P3D. They say other aircraft will follow in the coming days including the Piper Cherokee, C182 Skylane, Piper Comanche 250, North American T-6 Texan and the Lockheed Martin Constellation. Good news to hear that they will not be charging for upgrades. This is dynamic lighting. You can move the torch anywhere in the cockpit and it will light up the correct area. FlyTampa have taken the opportunity of V4 to show of their new Boston scenery. This shows off some lovely images of the scenery which we can’t wait for. They claim that 10-15 FPS has been gained at their sceneries. FPS that can make a massive different to the simming experience. We look forward to seeing their sceneries in V4. And now for the one we know you’ve all been waiting for. PMDG, the boss of all things flight sim (or so it seems). PMDG WILL NOT be charging for the upgrade to P3D V4. This is great news to here and the one that I know many have been eager to find out. As of writing this article, the 747 and DC-6 are now compatible with P3D V4, with the 777 hoping to be completed by the end of this week and the NGX following shortly after. Is this a possible hint to the release of the DC-6 in P3D? The cost will be free for anyone that has purchased any P3D products before the release of P3D V4. An important point to note down. You can find the full post over on AVSIM. We have had the chance to speak to TOGA Projects regarding ENVTEX. They are currently finalising Service Pack 1 as we speak. They have said that V4 compatibality will come ASAP. 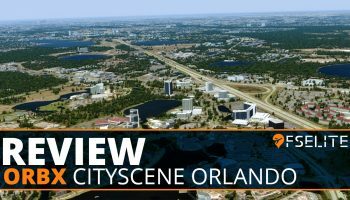 The well renound scenery developer has shown off a stunning video of their upcoming KMSP HD scenery working perfectly in P3D V4. We can presume that they will be upgrading their sceneries to work with P3D V4. The scenery developers that brought us Skiathos, Samos and other great sceneries have given us a wonderful preview of the dynamic lighting with P3D V4. They have confirmed that both Samos and Twentynine Palms will both be compatible with P3D V4. They have not confirmed this for their other sceneries but these two are confirmed for now. 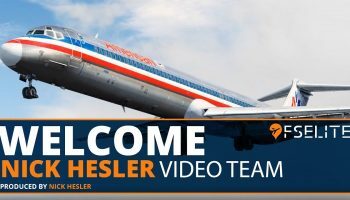 The team have now provided more information on their commitment to the new sim stating that their most recent / popular add-ons will be made available for P3D V4 with the latest SDK methods in the coming weeks, with no charge at all. 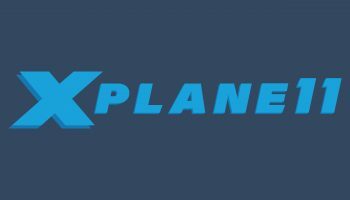 They are in the process of making San Diego (KSAN) into version 2 in the coming weeks which will be a paid upgrade. LatinVFR at this stage have not put much thought into the steps towards P3D V4. They are currently in the process of creating an official announcement on their thoughts. 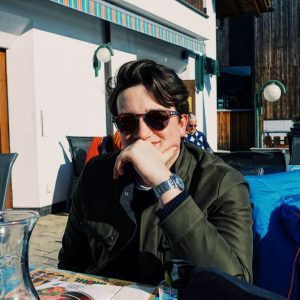 Over on the REX forum, the team confirmed that they are committed to “providing support of these platforms as much as possible”. This was in reference to XP11, FSW and P3Dv4. However, the teams are working on several new products and they will be working on technology to best support these new platforms in the future. REX have been in touch with the developers and will ensure they maintain a reasonable working relationship with them. No further information on current products has been disclosed right now. The guys at Turbulent Designs have told us that they have no news on P3Dv4 just yet as they haven’t been testing on the new platform. As soon as they do, they’ll let us know. 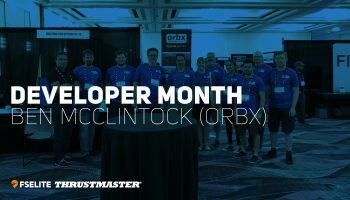 We’ve known for a while that Orbx will be updating their current product range for free via FTX Central V3. 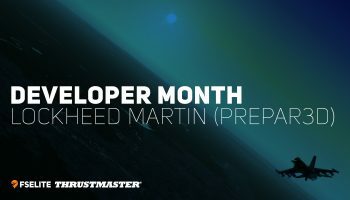 Mathijs from Aerosoft has confirmed they’ve been testing internally for some time and are “very enthusiastic” about the next version of Prepar3d. He said that scenery seems to be “easy” to make work, whilst aircraft need to be recompiled into 64-bit code to workd. Because of the sheer quantity of products available, things may take some time. New releases will probably be compatible on day one. For those wondering, they’ll be working on products which are newer and most important first and then work backwards. So the A320 family will be one of the first they will work one as that requires the most attention. This does NOT mean work will start after the A330 and CRJ released. If anything, it’ll be compatible before those products are released. 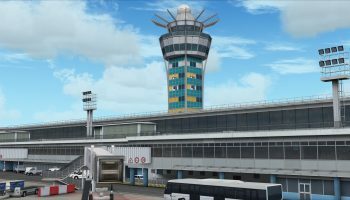 Original Aerosoft update: Although we haven’t had an official statement from Aerosoft just yet, it has been confirmed that both the upcoming Aerosoft A330 and the Aerosoft CRJ will be compatible with the new sim when both products are released. We imagine both will be free of charge similar to that of their current philosophy. Mathijs uploaded a quick screenshot of the CRJ in P3DV4. Aerosoft have also now confirmed a roadmap for when they aim to bring out some of their products into V4. The A318, A319, A320 and A321 will be compatible sometime within June. Kilimajaro will be coming into V4 on 31st May. Hopefully many sceneries will soon follow. See the whole post here. 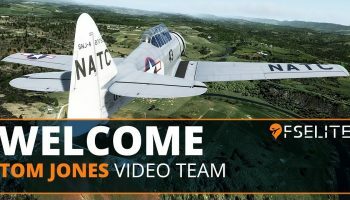 The developers that have brought the Active Sky series and Active Sky Cloud Art have given us an update with their progress related to P3D V4. They have announced that all current owners of Active Sky 2016 will be given a free update for P3D V4. They have said that it will not be ready at the launch of P3D V4 but it will be ready within the days following the release of P3D V4. 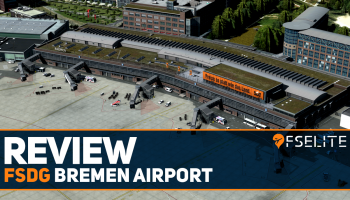 They have promised the following changes: ‘a 64-bit ASConnect interface, 64-bit XGauge, improved visibility depiction, turbulence effect enhancements, active runway data and more’. The team at Milviz have confirmed they will “absolutely” support P3Dv4. They are looking into the pricing and will advise everyone closer to release. Sadly, they did confirm that not all will be ported over and some at all. Going forward, all products will be compatible with the new sim. Confirmed through Facebook, FS2Crew have confirmed they will be updating their products to Prepar3D V4, but will be waiting for the host aircraft to be updated first (e.g. 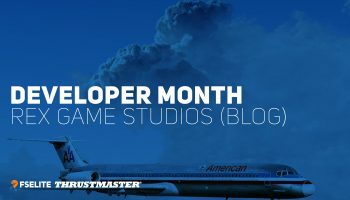 PMDG and Aerosoft). As for pricing, nothing has been thought about yet as it will depend on the complexity of porting over. Both the Bulldog and the Birddog will be available for P3DV4 soon after release. As for the Airbus prolouge series, there is currently no estimated release time frame regarding compatibility. The suggest keeping an eye on their Facebook page for updates. PILOT’S! have confirmed they will be supporting both FSW and P3DV4 very soon. Users of FS Global Ultimate (DVD Edition) – Next Generation will be able to install the updates for free via a new installer. At the end of May / Beginning of June, they will also release some new content as well. FS Global 2018 will include installers for both sims. 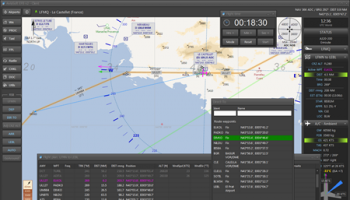 Finally, FS Global Ultimate – Next Generation Continents will meet the higher demands for both DG FSW and P3DV4. You can read more on their site. 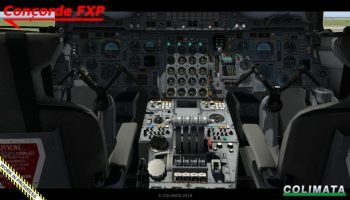 In a huge post from the team, it has been confirmed that the A320X will be released for P3DV4 in 64-bit free of charge for those who already own the P3D version of the A320X. If you want to upgrade from FSX, then you’ll be able to pay the upgrade fee. Once the 64-bit version is out, you will no longer be able to pay the upgrade fee. So if you’re looking to upgrade from FSX to P3D, so so now. Additionally confirmed was that their upcoming A319 will also be 64-bit compatible come release. You can read loads more information on their future as well here. Just Flight have been working with Lockheed Martin for several months now on what work is required for produce for version 4 of P3D. They have confirmed that their most recent content and popular releases will be available free-of-charge in the form of a product update. 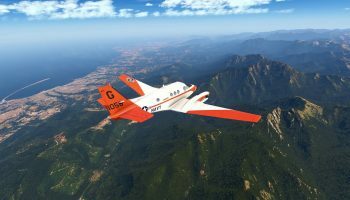 Future titles currently in development will be P3DV4 ready and they are looking into ensuring that future products will be “native” to version 4 to take advantage of the new features. Just Flight will also continue to support FSX and P3D 1/2/3. 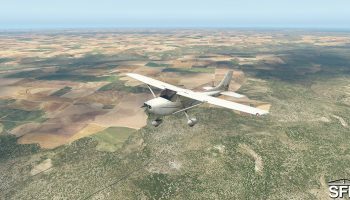 Dreamflight Studios have confirmed their scenery will be available in P3Dv4 with a FREE update! They’ll also be bringing new scenery complete with new P3DV4 features. In an email to a user, Majestic have confirmed they are planning to concentrate on the Training Edition of the Q400. As P3DV4 will be a sizable amount of code to change from 32-bit to 64-bit, they aren’t sure how long it will take to make the aircraft compatible with the new sim. If we hear anything further, we’ll let you know. iBlueYonder said that they are “100% committed” to making existing and future products compatible with the new sim for no extra charge. They are working hard right now to make the needed changes and will replace the Viva module with SODE. 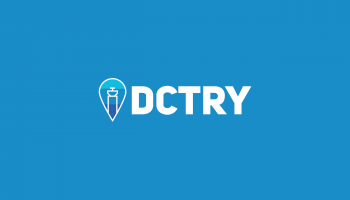 As soon as it’s ready, they’ll email customers informing them they’ll be able to download, as well as using other media outlets to inform the rest of the community. On the UK2000 forums, Gary Summons. Who is the head of UK2000. Confirmed that he will be making his sceneries compatible with V4 once he has access to it. UK2000 have been excellent in the past with updating to newer versions of P3D and I doubt this will be any exception. As soon as we hear more we’ll let you know. 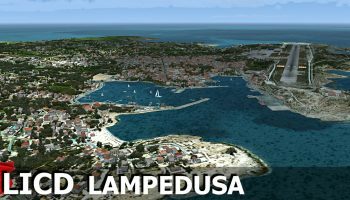 As expected, ImagineSim’s current P3D scenery packages will be available for P3DV4. Of course, we kind of knew they would be developing that after they said that Singapore (WSSS) will use “UltraHD textures” for P3DV4. Updates will be free of charge.